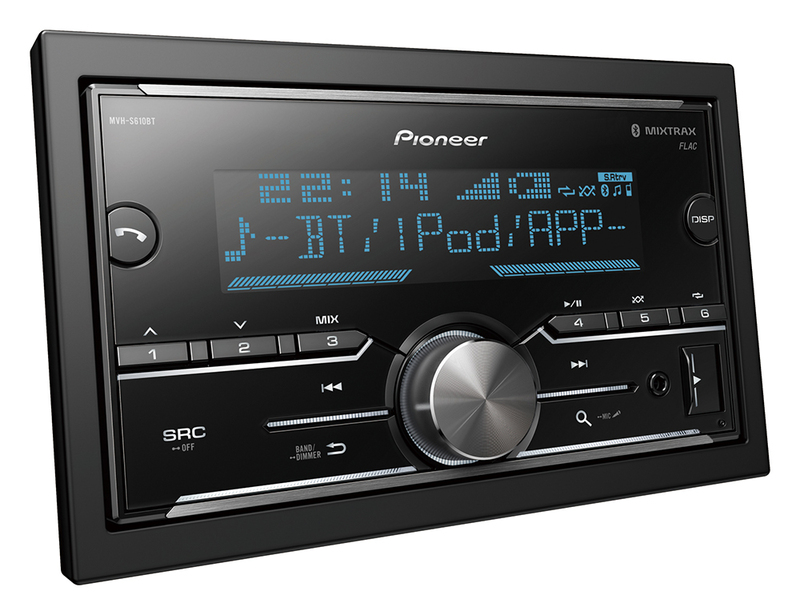 The attractive, 2-DIN design of the MVH-S610BT offers plenty of room to display useful information. It also has a large Rotary Commander and easy to access preset buttons, so you can instantly select your favourite FM stations and more. The MVH-S610BT digital tuner is fully compatible with Spotify, both for Free and Premium Spotify users. Simply connect your iPhone or Android smartphone and safely enjoy your favourite playlists, albums, tracks and artists. Make no mistake, the MVH-S610BT is a true high-end car audio system. 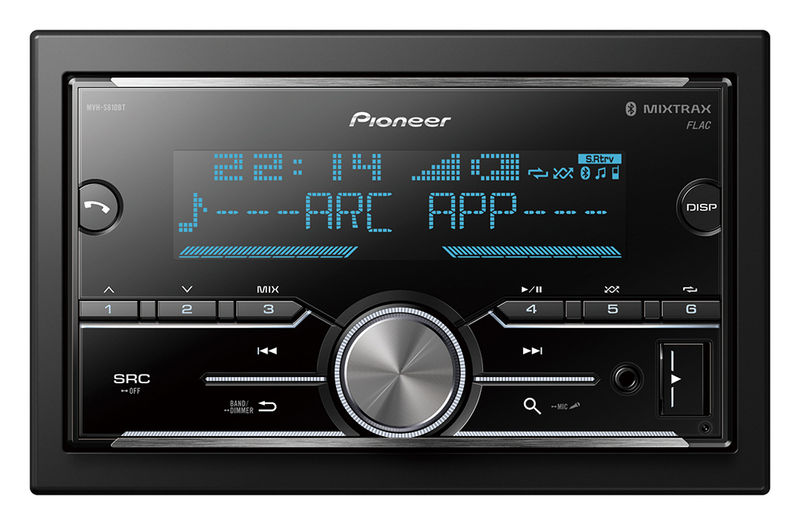 It reads FLAC files, is equipped with a 13-band Graphic EQ, 3-Way Network Mode, 4 x 50 Watts MOSFET amplifier, compatible with Pioneer's Advanced Remote Control app, and you can also experience Pioneer's Karaoke feature, making the MVH-S610BT the perfect partner on any journey.